Jurgen Klopp has been encouraged to target RB Leipzig striker Timo Werner when he looks to strengthen his attacking ranks in the summer transfer window. 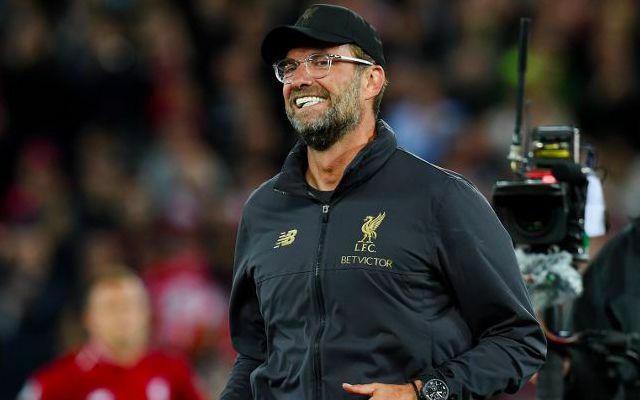 A mass exodus of fringe players at the end of the season is expected to see the Liverpool boss bolster his squad again ahead of the 2019/2020 campaign. This is set to include the introduction of another striker, with Daniel Sturridge and Divock Origi leading contenders to depart in search of regular first-team football. Werner continues to be linked with an Anfield switch on the basis of a natural compatibility with Klopp’s system and approach. It was recently claimed by German outlet Bild that the 22-year-old, whose current deal is set to expire in 2020, could be allowed to leave for £36million in the summer if he fails to sign a new contract. Viasport’s Jan Aage Fjortoft believes it is a deal Klopp must pounce on. Timo Werner, RB Leipzig, would be the perfect Liverpool- player. Contract till 2020. They will probably sell him this summer. Klopp will for sure go for this one. Werner has scored 13 goals in 22 appearances for Leipzig across all competitions so far this season, including 11 in 18 Bundesliga outings. This follows up his 21 goals in 45 games in 2017/2018 and 21 in 32 in 2016/2017 in underlining one of Europe’s most consistent and prolific goalscorers. If Klopp is looking for viable backup to his somewhat unbreakable front three, then Werner appears a solid option with the bonus of Champions League experience behind him. Of course, the German is sure to have a long list of potential targets by the summer, but this is one you could certainly see him throwing his hat into the ring for.